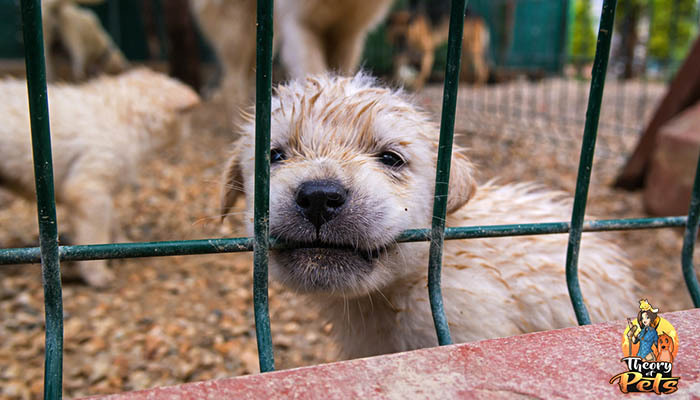 As pet owners and animal lovers, we've all heard about puppy mills, but how many of us really know the intricate details of how these facilities operate? Do you know what exactly can be classified as a puppy mill, how to avoid them and what to do when you discover a puppy mill? For today's podcast episode, I reached out to Kenzie Bushman, who's Action Team Coordinator for People for the Ethical Treatment of Animals (PETA). Over several emails, we've discussed this topic in great detail, and Kenzie explained the stance we should take against puppy mills, why it's important and provided great tips on how to adopt dogs to help animals in need without fostering this atrocious industry's practices. Tune in! Welcome to Theory of Pets. I'm a passionate pet owner with a drive to help others like me uncover the truth about the pet industry and what goes on behind the scenes. Puppy Mills are the absolute most heartbreaking aspect of the pet industry. Unfortunately, due to the increased number of pet owners wanting dogs, puppy mills stay in business. They continue to breed dogs that go to pet stores and people continue to purchase them and it keeps fueling these puppy mills. Unfortunately, many times people don't realize that they're buying animals from a puppy mill and that's where we began to have this terrible cycle continuing, is people aren't aware that when they're purchasing a pet store puppy, it's actually coming from a puppy mill. Or when people are purchasing from a breeder online that somebody that they've seen on Facebook or somebody that they've seen on a site online that's selling puppies, it may actually be a puppy mill. So today I wanted to talk to somebody to try to get some information for people who aren't educated about what to look for if you're trying to spot a puppy mill and ways that you can help try to curb this epidemic in the pet industry. I was very fortunate to be able to interview Kenzie Bushman, who is the action team coordinator at PETA. And if you don't know, PETA is the People for the Ethical Treatment of Animals and they are activists, they are people who work together to try to help animals and work for the fair and ethical treatment of animals all around the world. So I was very grateful that I was able to talk to Kenzie. And of course my first question for her was — what our puppy mills and what should prospective adopters be looking for to determine if a breeding facility is actually a puppy mill? As I mentioned, oftentimes people don't even realize that they are adopting from a puppy mill. Kenzie told me that puppy mills are quite simply hell on earth for dogs and that is not an understatement. These breeding factories in which litters of puppies are churned out as quickly as possible, they can consist of anything from rows of ramshackle wire floor cages to chains attached to trees. Puppy mill operators care only about turning a profit, so they often deny mother dogs and puppies proper veterinary care, proper food and water, proper exercise, socialization, all the things that a puppy and adult dog need to survive and to be healthy and live their best quality of life they're being denied. And when she says that these breeding factories churn out puppies as quickly as possible, that's exactly what they mean. Female dogs are bred very young, much younger than is recommended by veterinary experts. They are bred every heat cycle. Instead of getting a break in between their litters of puppies, they're literally just having a litter weaning the litter getting pregnant again. So the female dogs are forced to produce litter after litter until they're bodies are completely, literally worn out. Then they're often either auctioned off, abandoned, or just slaughtered. Many lose their minds after years of confinement and neglect. They spend the rest of their lives spinning frantically in circles or pacing constantly to try to cope with their despair. It's a terrible, terrible life for these dogs and it's a really hard beginning for these puppies. The best way that Kenzie says to ensure that you aren't buying from a puppy mill is to avoid all breeders and pet stores and instead just open your heart and home to a pup that's waiting in a shelter who desperately needs a loving family. There are dogs everywhere in shelters that need families. PETA advocates for this absolutely all the time. They go with the motto and we hear it all the time, we see it in advertisements — Adopt, don't shop. There are dogs everywhere, desperately looking for homes, and you could very easily give one of them a home. A lot of people don't realize that if you're looking for a purebred dog, you can still adopt a purebred dog. You can get online and look for rescues and shelters that specifically deal with those breeds. For example, if you're looking for a Labrador, you can look for a rescue that only takes Labradors, Dachshunds, whatever type of dog that you're looking for. I also asked Kenzie why adopters should choose not to adopt a dog from a puppy mill and she says that buying from puppy mills only encourages them to keep cranking out litters and making animals suffer. Obviously, if you're spending money on the puppies that they're producing, that's going to give them financing to continue breeding these dogs and also encourages them to keep on doing it. If people are buying the puppies, they're getting rid of them. They're making money, they're going to keep doing it. Kenzie also says that many puppies who come from these facilities have genetic defects from being in-bred, and they may also have health problems that require costly veterinary treatment. Constant confinement, and a lack of adequate veterinary care often result in behavioral problems as well, such as difficulties with socialization, which she mentioned earlier. Kenzie also told me that many of these puppies are soon abandoned by their frustrated guardians, which only worsened the homeless animal crisis with millions of dogs and cats, including purebreds, ending up in shelters and desperately needing good homes there is simply no reason for animals to be bred and sold in puppy mills the way that they are. The only reason that these breeders continue to do what they do is because people continue to buy the puppies. So the only way to 100% stop puppy mills is for all of us to stop buying the puppies that are coming from the mills. The third question I ask Kenzie was about prospective adopters. Many prospective adopters don't realize that puppies in pet stores come from puppy mills. I wondered if there was a way to tell where pet store puppies come from. And she told me that even a store claims that it doesn't buy from puppy mills, there's still a good chance that they buy from a broker who does. So even though you might ask the pet store operator where their puppies come from and they may tell you that they have a broker who gets the puppies for them. That doesn't necessarily mean that they're not coming from a puppy mill. Kenzie says, the best way to avoid supporting this abusive industry is to adopt your animal companions from a well run open admission shelter, one that accepts all animals without restrictions or a well screened rescue organization. Again, there are places who call themselves rescues, call themselves shelters, and they are not well run. They're not taking care of the animals properly, so do your research. That's what it comes down to always is to do your research as a perspective pet owner. I asked Kenzie what people should do if they suspect that they've discovered a puppy mill and she told me that the only federal law covering puppy mills is the Animal Welfare Act, and it requires only the most minimal standards of care such as that dogs be able to stand up inside the cage they've been confined to for life. Unfortunately, that's the only law that there is, so it really takes a lot to break that law. However, if you notice a poor situation, if you witness cruelty or neglect in any situation at all, including seeing animals deprived of proper food, water, shelter, or veterinary care, Kenzie says that you should notify local police and/or humane authorities immediately. If they are unresponsive, contact PETA, their number is 757 622 7382. And if you're driving or you're not able to write the information down, this is all on our website theoryofpets.com. You can jump on there, you can also get online at Peta.org and they have a website that is www.peta.org/about-peta/contact-peta/report-cruelty/ and you can do that there. Also, if you just get on their website and do a search for reporting animal cruelty, that will pop up. Again, there's a link underneath this. If you're listening to this on social media or YouTube, there's a link underneath it to that website and of course it's on our site theoryofpets.com as well. Kenzie also urges people — please don't buy dogs from puppy mills in order to “save them,” as that only provides financial incentive to continue the abuse. And that's often something that I hear from people who have made the unfortunate choice to adopt from a puppy mill. They were concerned about the puppy and they wanted to save it, so they thought that adopting it and bringing it to their home would save the puppy. Unfortunately, as Kenzie mentioned, a lot of times these dogs have genetic diseases and health problems, so you're not actually saving the dog. You're just now taking that burden onto yourself. It's going to be extremely expensive. There's going to be a lot of vet bills involved and quite often those puppies don't live a long, healthy life anyway. So you think that you're saving the puppy, but one, you're putting a giant burden on yourself that may end up getting you in trouble down the road and you're also giving that breeder the financial incentive to continue doing what they're doing. I wanted to know what PETA is doing to stop the puppy mill trade and what dog owners could do to help. And Kenzie told me that PETA urges people who have the time, money, knowledge, patience, and love to care for an animal companion for life to “adopt, not shop.” I mentioned that motto earlier and it's very important in PETA's campaign to get people to adopt, not shop. They have partnered with dozens of celebrities, including Tom Hardy, Jay, Sean, Yvonne Strahovski, Gabby Marino, Christen Press, Kevin McHale, Chase Utley, Lance Bass, and many others to produce ads and public service announcements which you've probably seen on television or heard on the radio. These ads urge people to save lives by adopting homeless animals instead of buying ones who have been bred on purpose. Everyday PETA spreads the message online, in print and TV news that as long as people continue to buy dogs, they'll continue to suffer and die. So it's really important as I said, the only way to make the puppy mill trade stop is for all of us dog lovers to band together and stop purchasing dogs from these facilities. That's the only way to stop it. And I know you feel bad and I know you want to save a puppy, but as Kenzie said, that's not a good way to help the cause. She also told me that caring people can help shut down the puppy mill pipeline, you can either write to or meet with rental agents who provide space to local pet shops, including mall managers and ask them to prohibit sales of live animals on the premises of their properties. You can monitor local pet stores that sell puppies and immediately report sick animals to local humane and health authorities. You can lobby elected officials to introduce legislation, banning pet store sales of animals from breeding mills, as California, Chicago, Lake Worth Florida have all done. You can write to your congressional representatives and ask them to order the US Department of Agriculture to crack down on puppy mills. As she mentioned before, we don't have strong laws about puppy mills. They are very broad and they're really easy for these people to get around. So if we want to make a change, we need to take it into our own hands in our democratic society and try to make that change and of course urge everyone you know to adopt animals from shelters instead of buying from pet stores and breeders. Finally I ask Kenzie if there's anything else that she would like to share with our listeners about this topic. And she said that puppy mills are extremely cruel, but no breeder can be considered responsible because every new puppy will either take a home away from a dog waiting in a shelter or become homeless themselves. The best way to help dogs is to steer clear of pet stores, breeders, and anyone else peddling animals for profit and instead save a life by adopting your new family member from a shelter. That is the way that PETA looks at it. That is what she wants to get across to everybody — Adopt, not shop. I know you've heard that motto before. If you guys have any questions about puppy mills, if you have concerns or anything like that, any questions that you would like me to pass onto Kenzie, if there's something that you wished that she would have answered that I didn't think of, jump onto our website theoryofpets.com. Again, all of this information is on there, the link to the PETA site, their phone number is on there as well. While you're on there, there's a comment section. You can ask any questions or leave any concerns on there. If there's anything that you'd like to see in a future podcast, be sure to leave that on there as well. I'm always looking to help people get their questions answered if it's pet related. And while you're on there, there is a little spot on the side you'll see to leave me a review on iTunes. I enjoy one, getting those great reviews, I appreciate the fact that you guys are out there and listening and loving it. And it also helps me when I'm reaching out to experts like Kenzie or talking with organizations like PETA to show them that you guys are out there and that you want to hear what they have to say. So it helps me recruit new guests for my show. So if you could take just a minute and leave me a review, that would be great. Thanks a lot for listening guys. And remember — Adopt. Don't shop. Next article8 Most Dog Friendly Hotels and Hotel Chains in the U.S.